World Population day is an annual event, observed on July 11 every year, which seeks to raise awareness of global population issues. The event was established by the Governing Council of the United Nations Development Programme in 1989. 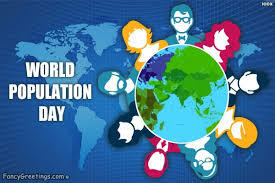 World Population Day aims at increase people’s awareness on various population issues such as the importance of family planning, gender equality, poverty, maternal health and human rights.